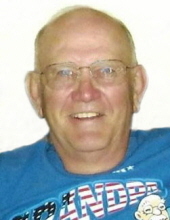 Roger Albert Holler, 78, of Waterloo, died Thursday, April 4 at Bartels Lutheran Retirement Community in Waverly. He was born August 26, 1940 in Waterloo, Iowa son of Albert and Eva Bergles Holler. He married Mary Rogers on April 28, 1962 at St. John’s Catholic Church in Waterloo. Roger graduated from Waterloo East High School. He then became employed with John Deere Engine works. He remained there for 30 years, retiring in 1994. Preceded in death by: a grandson, Jacob Charley and a sister, Carolyn Finn. Mass of Christian burial will be 11:30 a.m. Friday, April 12 at Blessed Sacrament Catholic Church with burial in Mt. Olivet Cemetery, both in Waterloo. Public visitation will be 4-7 p.m. Thursday at Hagarty-Waychoff-Grarup Funeral Service on South Street where there will be a 7 p.m. Vigil Service. Visitation will continue for one hour before services at the church on Friday. Memorials may be directed to Blessed Sacrament Catholic Church. Roger was a sports enthusiast and big Hawkeye fan. Over his lifetime he competed in chess, baseball,bowling, softball, and golf. He was a devoted husband, father, and grandfather. To send flowers or a remembrance gift to the family of Roger Albert Holler, please visit our Tribute Store. "Email Address" would like to share the life celebration of Roger Albert Holler. Click on the "link" to go to share a favorite memory or leave a condolence message for the family.